I'm Sharmie. My purpose for joining is because my little aquarium has suddenly gained its first fry and I am at a complete loss. My first aquarium was years ago when my ex step-daughter 'gave me' her fish to take care of. I bought two others as companions and they all lived with me for about three years and then all died for reasons I am not sure of. Their deaths bothered me and I didn't get another tank until I moved to the UK and someone gave me an angel fish as a wedding gift. My new husband pulled out his small apprx 9 gallon tank and 'Dunny' became a permanent resident for the next few years. I then added two corys as non-edible company. One cory died and then one disappeared while I was in away in the USA (my mother-in-law who was taking care of them said she didn't recall seeing a third cory in there). So down to two corys and neons. Recently, my husband wanted an Axolotl. I got it despite my concerns. I also got a few more neons (stupid I know), which all died within a day of hitting the tank. Then my existing neons began to disappear. I have one left. Now, for the main reason I joined: When I lowered the tank temp for the Axolotl, my cories began to breed. Three times I've found eggs and now we have about 15 fry. The fish guy told me to put them in a breeder net, but that was a big mistake on several levels and I lost a lot of fry because of it. I transferred the survivors into a home-made container that is basically a plastic canister with a sucker holding it to the side of the tank. It is positioned high enough that the corys can't jump in and we keep it aerated by pouring water in it a few times a day and doing regular water changes. I don't know if that is sufficient, but the fry seem to be growing. Anyway, that's my story. I like aquariums, but have never done more than kept a couple of fish. But, as they mostly haved died of old age until recently, I guess I've been doing okay until now. My hope is to buy a bigger tank soon. But I still don't know how I am going to handle the fry with the Axolotl. She doesn't bother the adult corys at all, but I wouldn't trust her with babies. I'm impressed that you were able to keep an angel alive in a 9g for so long. That's way too small of a tank for an angel. That axolotl will continue to eat your fish and it's exposed gills are prime targets for fin-nippers. You'd be best off with separating it into it's own tank. That way you could put your cory fry in the tank with the adults. 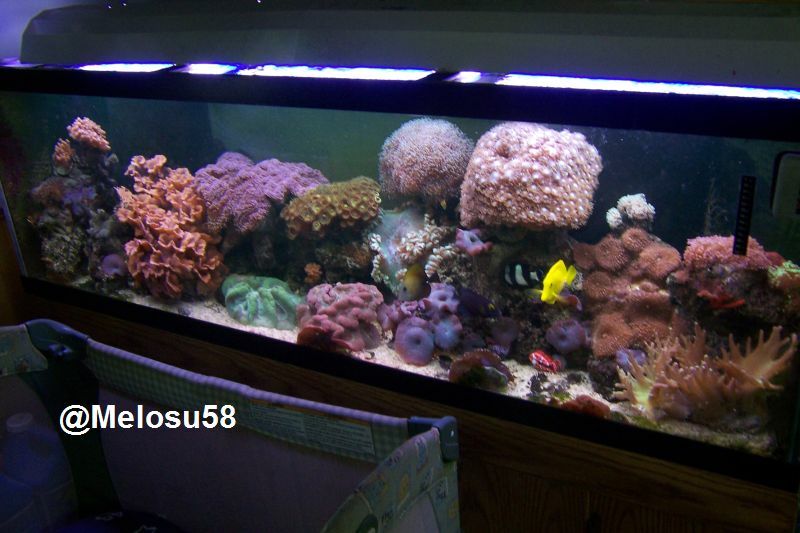 If you hang around here much, you'll soon discover that no aquarium is big enough and you can never have too many. welcome, and +1 to the above statement! I have never heard of an Axolotl until this post and they look pretty awesome! When in doubt, do a water change! If someone gives good advice, thank them with some rep points!